We’ve talked about this, but it’s always different, talking about something and experiencing it. Did you tell them about me? you ask, and suddenly it’s like all the air’s been sucked out of my lungs. It’s okay; I understand, you say quickly. I mean, it’s not okay but not because of you or anything you did. It’s kinda fucked up. You should be able to date whoever you want to date, and they should be happy with that. I want to say that you don’t have to be that understanding, that it’s okay to get pissed or angry or annoyed because you shouldn’t be made to feel like you’re a secret. This isn’t a new conversation to us, though, this topic of complicated family situations; we had it fairly early on because we were getting to know each other as quickly as we could, which meant that we went crashing through barriers with abandon, launching right into the deeply, painfully personal before we could stop and think and let the fear of being vulnerable make either of us shut up. I mean, you say with a laugh, any parent should love to meet me. I know, I say, and I want to sound strong, but my voice comes out a whisper. I’m sorry. For what? It’s not your fault, you say, and you’re being nice, but I want you to be angry — I want you to say what you actually feel instead of being so goddamn nice. 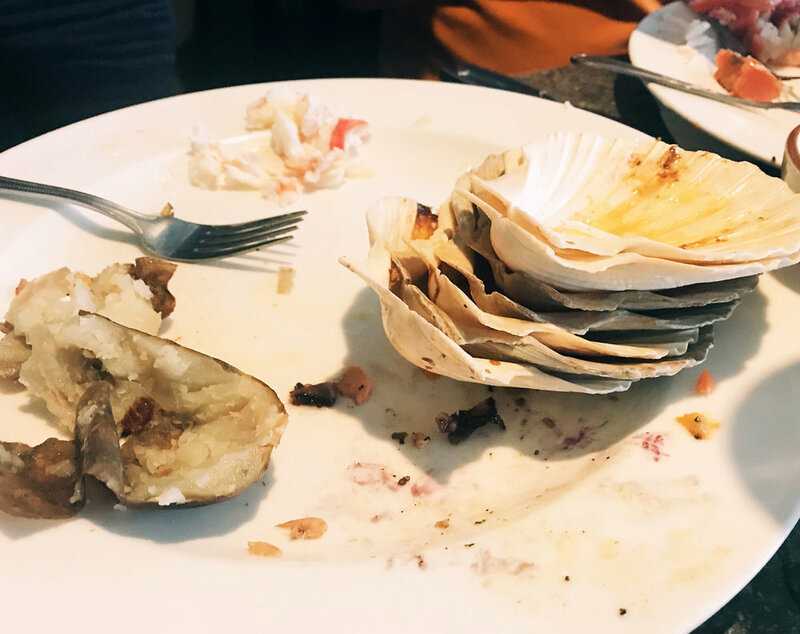 I want things to be different; I want to live in a world where people can love each other and have that be that; and I want you to be here at this dinner table, explaining what spot prawns are to my family, stacking empty clamshells on your plate, mixing everything into your baked potato. I want you to try this blueberry chili sauce and recreate it for me later. I want, I want, I want. I feel like I want things that are so simple — to love and be loved and celebrate that love without fear of rejection or loss — and yet this simple thing feels so tender and fraught and impossible.